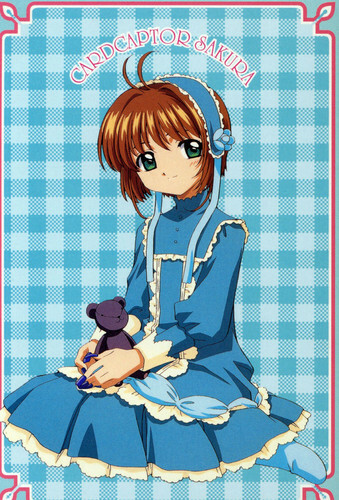 Sakura sits with a plush toy. . HD Wallpaper and background images in the Sakura Cardcaptors club tagged: photo anime magical girl shoujo cardcaptors cardcaptor sakura kinomoto sakura long nails fake nails old-fashioned teddy bear blue bonnet dress カードキャプターさくら.